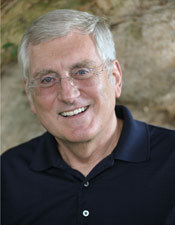 Paul L. Ouellette, DDS, MS, ABO, is a board-certified orthodontist who has practiced for more than 35 years. He has a BS degree from Texas A&M University and earned his DDS, Certificate of Orthodontic Specialty, and Masters Degree in Oral Biology at Loyola University in Chicago, Illinois. Dr. Ouellette was one of the pioneers of sonographic analysis of TMJ sounds and results of his studies have been presented on numerous occasions both nationally and internationally. He has also published numerous papers on the subject of Orthognathic Surgery (Orthodontic Surgery) and practice management.